Today I’m excited to share with you a happy experiment gone right: Slow Cooker Caramel! It is delicious and easy! Read on to find out how to make your own caramel dip in your slow cooker! I am a hot dog person but I married a hamburger person. It works out fine. My mom and I get along famously despite the fact she is a vanilla person and I am a chocolate. Molly prefers sweet but Ellie is salty. Where do you fall? Chocolate or Vanilla? Well, I kind of think that the chocolate/vanilla teams can meet on a common ground in the middle which is caramel. Who doesn’t like caramel? Right. No one. It’s like not liking puppies. 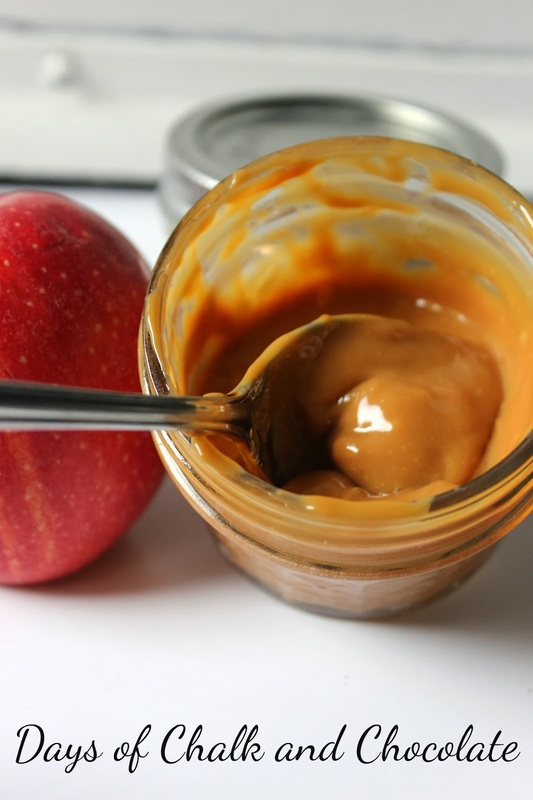 Caramel is a creamy, gooey, bridge between opposing forces if you will. And I love it. So I made it a few weeks ago with sugar and cream. It was amazing but playing with hot melted sugar is NO JOKE. In an effort to make things simpler, I finally tried the condensed milk-in-the-slow cooker method and I found it works! Sort of. For those who haven’t seen the millions of recipes floating in the interwebs, here is my version. 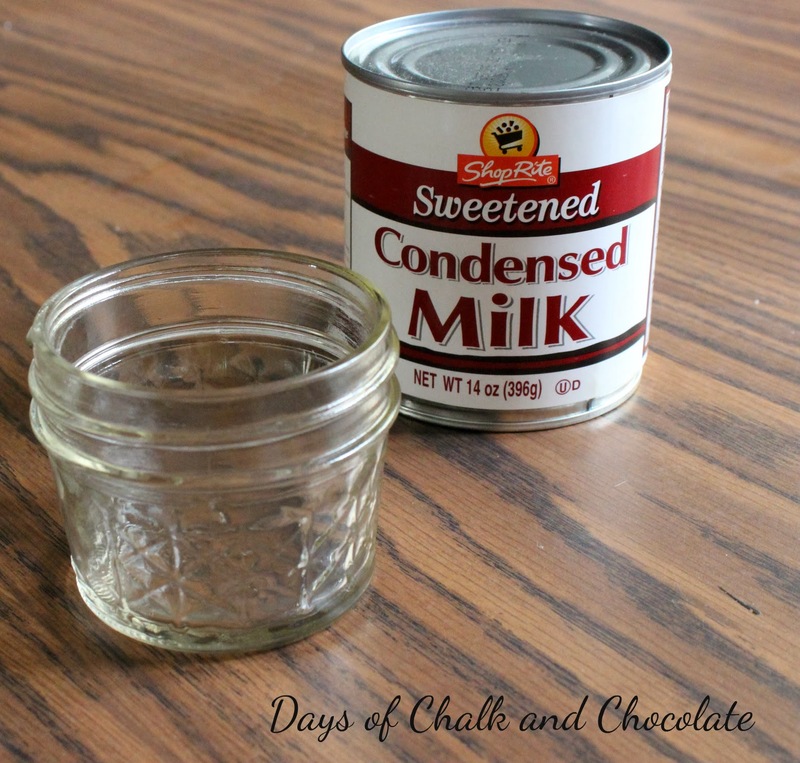 Open a can of sweetened condensed milk. Pour it into little jars. 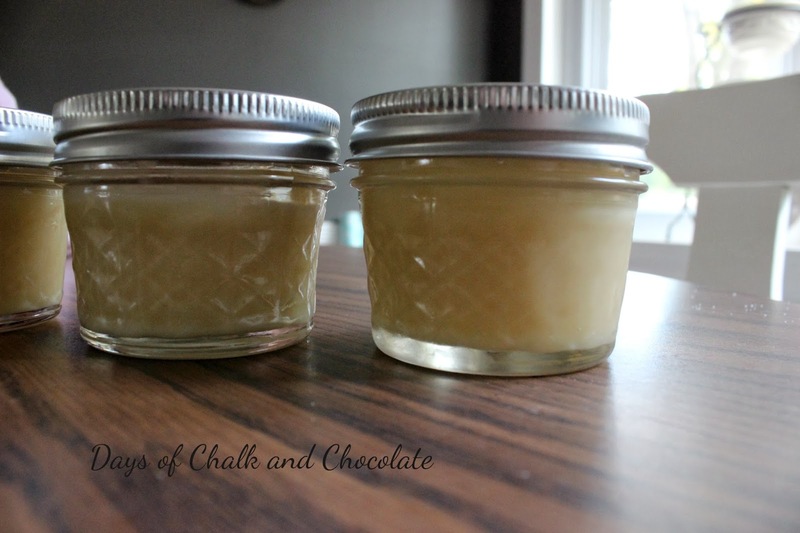 Little jars are cuter than big ones which is why I used them. 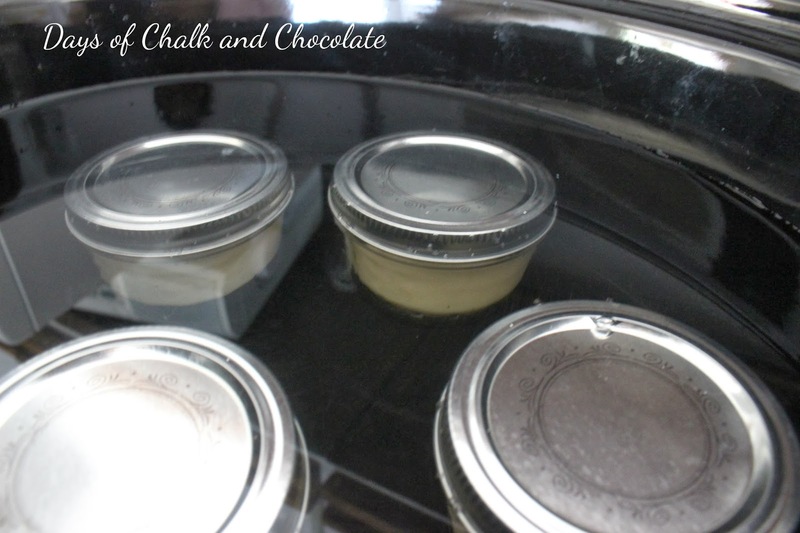 Pour enough water over the jars to cover the tops. This step is supposedly VERY IMPORTANT!! I guess the containers can rupture or explode if they aren’t completely submerged. Cook on low for 8 hours or until it looks like caramel. Carefully remove the jars from the slow cooker. They will be super hot so you need to let them cool. If you are using canning jars, the lids will seal but since it isn’t processed it isn’t shelf stable. Refrigerate! So did the condensed milk really turn into caramel? Well, it turned into a thick, creamy, amber colored confection that was yummy stirred into my morning coffee. I would call it more of a caramel flavored dip as it was perfect for scooping up with apple slices. Molly loved it. Ellie gave it the stink eye before deciding she would stick with chips. This was a good stand in for making caramel with melted sugar. It was easy, didn’t make a huge amount which is good for us, and really tasted very yummy. After a week in the fridge, it started to get a bit grainy but I am guessing it would smooth out again if you put it in the microwave for a bit to warm it up. Are you team ca-rah-mel or team car-mul? Wow. I would’ve never known you could make caramel like this in a slow cooker. Great idea!